Apple has reportedly "deliberated" moving its lineup of Mac computers away from Intel processors, though such a change apparently isn't "imminent." The details come from a profile of Apple's current state under CEO Tim Cook published Wednesday by Bloomberg Businessweek. Citing two unnamed people familiar with Apple's discussions, the report indicated that Apple would like to move away from Intel's CPUs in its Macs. "Such a shift would be difficult and isn't imminent, though it would allow Apple to further distinguish its laptops and desktops from competitors that run Intel's chips and Microsoft's Windows software," authors Brad Stone, Adam Satariano and Peter Burrows wrote. Apple's interest in moving away from Intel is not new, but Wednesday's report is an indication that the desire still exists at the company. AppleInsider first reported in 2010 that Apple had discussions with Intel's chief competitor, AMD, about switching to its chips for future Macs. Apple previously differentiated its Mac lineup from Windows PCs by utilizing PowerPC chips built by IBM. 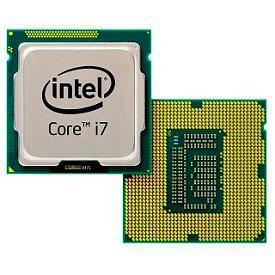 But in 2005, Apple announced it would switch to Intel microprocessors for all of its Mac hardware. The transition was complete by August of 2006, and starting with OS X 10.6 Snow Leopard in 2009, support for legacy PowerPC Macs no longer existed. While Intel currently powers Apple's Mac lineup, the company is absent from Apple's more popular iOS devices, including the iPhone and iPad. Intel has instead pushed its own "Atom" processors for mobile devices, but tests have shown that Apple's latest A6 CPU found in the iPhone 5 outperforms Atom. While AMD would be an option if Apple were to abandon Intel, Apple has made headway in designing its own custom silicon for the iPhone and iPad. Earlier this year, rumors suggested Apple was looking to use its own ARM processors in upcoming iterations of the MacBook, especially in power-critical applications like the thin-and-light MacBook Air. Wednesday's report also revealed that late Apple co-founder Steve Jobs considered removing Google search from iOS. However, he and the company ultimately decided against that route, as they felt it would upset users too greatly.